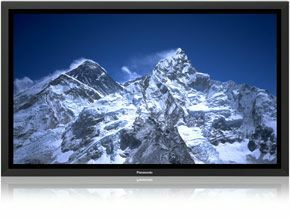 The What: At InfoComm2013, Panasonic will be adding a number of new displays to its already expansive line of professional plasma, LCD and LED displays. This year, additions include the TH-47LFX6U professional LCD display.The What Else: The Panasonic 47-inch ruggedized and weatherproof TH-47LFX6U professional LCD display, with a full 1,000 cd/m2 of brightness and IP44-level dust and water resistance, is able to operate efficiently in harsh environmental conditions such as heat, humidity, extreme cold and high brightness. The LFX also incorporates a unique cooling system so it can operate while placed in direct sunlight where a typical LCD suffers from image blackout issues. This display also features a corrosion-resistant aluminum cabinet and tempered glass that allows for safe outdoor use. Why This Matters: Unlike most outdoor displays, which require separate enclosures, the LFX6 requires none. Those types of enclosures require both heating and cooling elements which make them less reliable and less energy efficient.